Last year, Lacoste purchased its Spanish distributor, the Basi company, which had been selling Lacoste since 1962. In May, the company changed its name to Lacoste Iberica SAU. At present, Lacoste Iberica employs 436 workers of which 225 are in Barcelona. 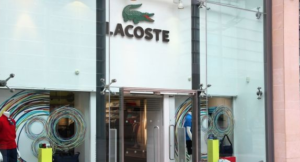 As a result of the purchase, Lacoste decided it made more sense to distribute directly from France and announced in early October that they would be laying off all the workers in their Catalonian warehouse, many of the administrative staff, as well as reducing store personnel. These initial plans affected 135 workers. Now, after negotiations with the Unions, Lacoste has reduced the layoffs, although they are still significant. Overall, about a hundred employees of the firm, which represents more than 40% of the workforce in Barcelona, will still be affected. Specifically, the Barberà del Vallès warehouse, where there are fifty-eight employees, will be closed. In addition, the Outlet store in Barcelona, ​​where seven people work, and the offices in Badalona, ​​with thirty-five employees, will be shuttered.